This is a rectangular Sinclair Extra Duty Motor Oil porcelain sign. 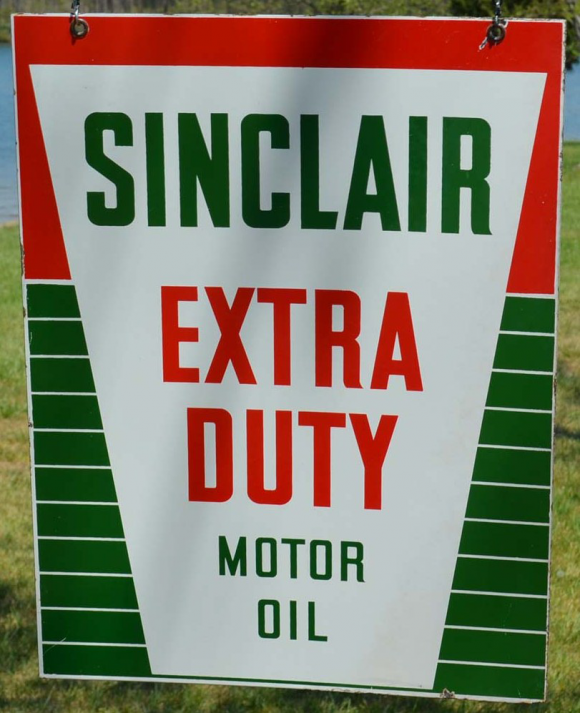 This particular Sinclair Extra Duty Motor Oil sign is red, green, and white. It reads, “Sinclair Extra Duty Motor Oil” and features a white shape against a green and white striped background.